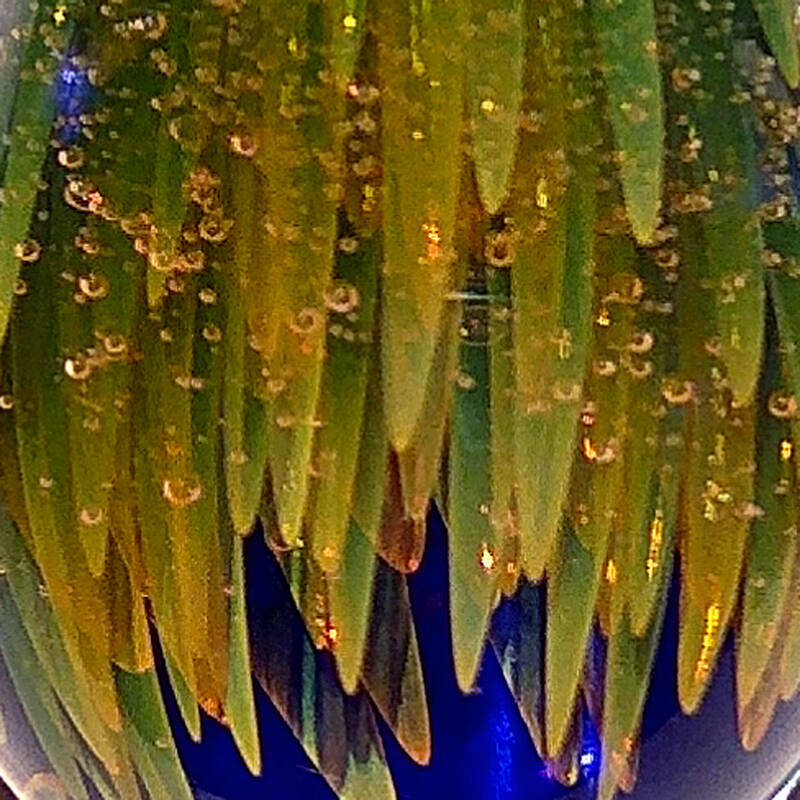 This unique 3D implosion pendant is made with cobalt and green borosilicate glass and details of pure 24 karat gold nugget fume work. This necklace is a handmade original work of art. Each piece is artist signed. 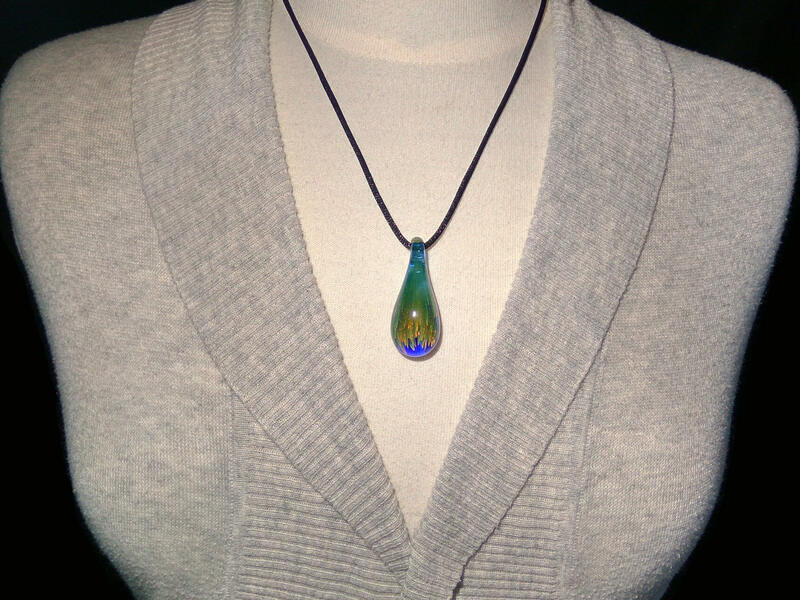 This pendant has a strong glass loop and comes with a satin black or blue cord made to adjust to the length of your choice, as well as a lovely satin gift bag which is carefully packaged to ensure safe travel. 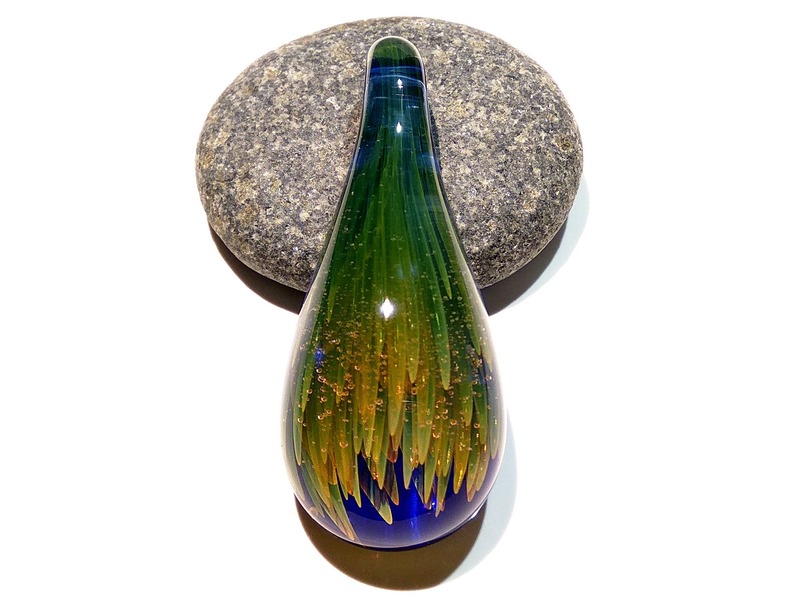 This piece would also look beautiful on a silver or gold chain. It is light to wear and gives an unforgettable focus point. It has a high gloss finish and is smooth to touch. ~ "FIRSTDEAL" code "10% off" your first order. 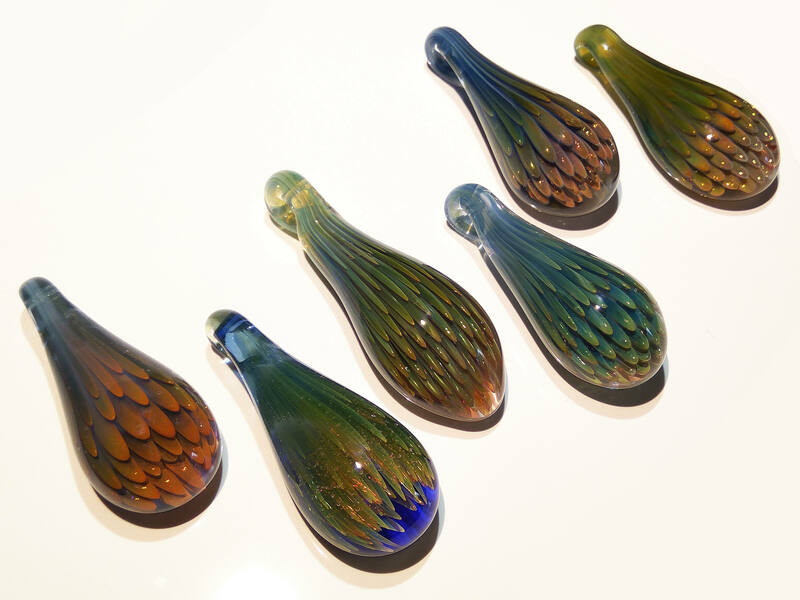 ~ All items are made from Strong Flameworked Borosilicate glass. ~ We always ship you the original pictured pieces! No remakes so you know what you are getting. ~ A Free Matching satin gift bag, an artist description card and necklace cord are included with each pendant. ~ All orders are shipped to same day or next. ~ No Duties on Glass Jewelry! Most of our work is sent to the wonderful and prosperous USA! **Discounts and "custom options" are available for "family packs", "friend packs", "bridle groups", "birthday groups" or even "Christmas Savings Group Packs"! 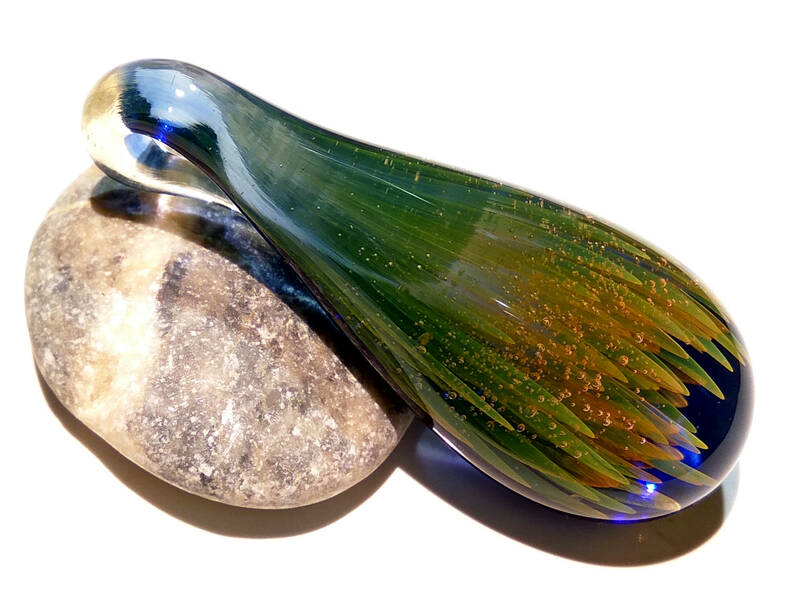 Thanks so much for supporting the glass arts! Please Note: There may be some oversized items with adjusted shipping costs. We are happy when you are happy!! When picking your piece(s) make sure to check the size and read descriptions carefully. We take special time to photograph each piece and hope it helps you chose the perfect items. Thanks so much and enjoy your browsing! Yes, please contact us if you would like a custom piece. We would be delighted to accommodate your request. Do you have other sizes? 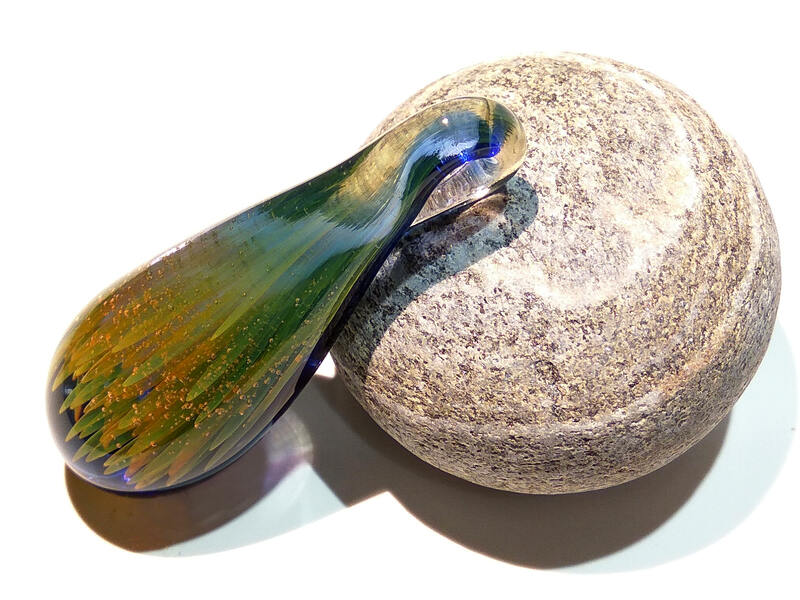 How durable are your glass pieces? 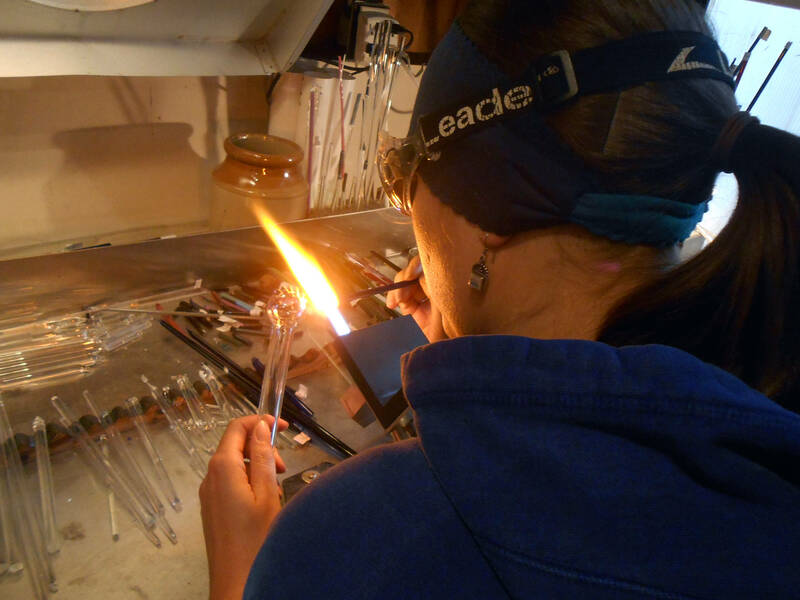 Our glass is made from borosilicate (Pyrex) which is a scientific grade glass also used in chemistry labs. 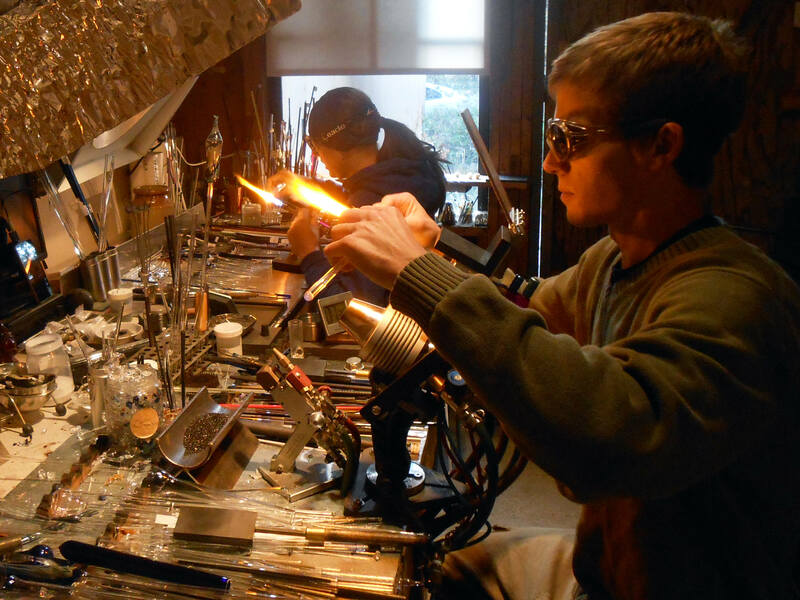 This is one of the strongest types of glass to use with a torch. If you ever have a problem with your piece please contact us and we would be happy to help you. How is a piece measured? Diameter is measured from right to left of the pendant in inches. How should I store my glass piece? Each piece comes with a complementary elegant satin jewelry bag. When your glass piece is not in use, you can use this bag to store it. What should I do if my cord comes undone? Please contact us at glassypendants(at)gmail.com for instructions on how to tie a double slip knot with your cord. What should I do if I need a repair later on? If you ever require a repair, please contact us and we will do our best to repair your cherished gift! Please note that we charge a small fee for repairs. Yes, on custom orders of $499 USD or more. Great for gift shops or anyone interested in selling at there local markets or festivals.